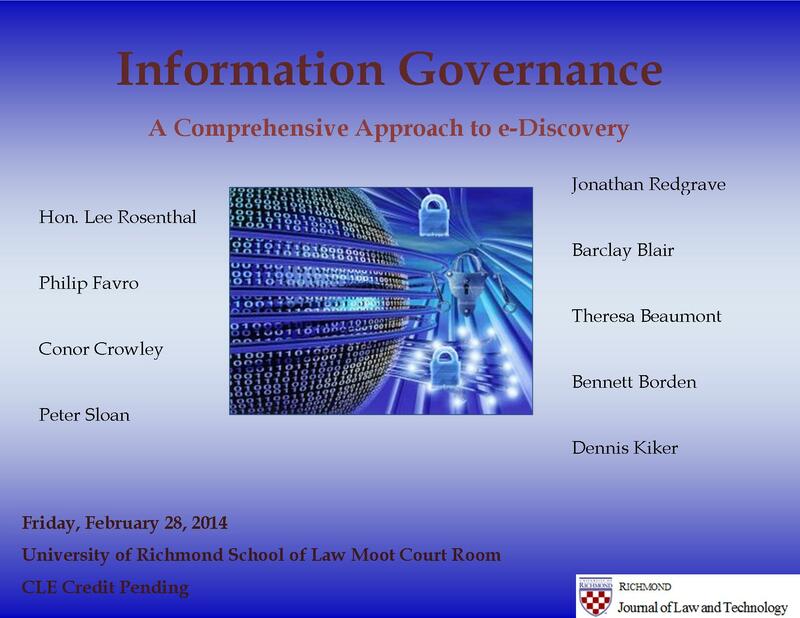 Registration for our yearly symposium, Information Governance: A Comprehensive Approach to e-Discovery, is now open! Please follow the above link for a speaker schedule, the registration form, and all other details. We hope to have you.